Karela seedling in 9 cm pot approx 30 cm tall. Plant is ready to repot into final large pot or warm and sunny place in a south facing garden. 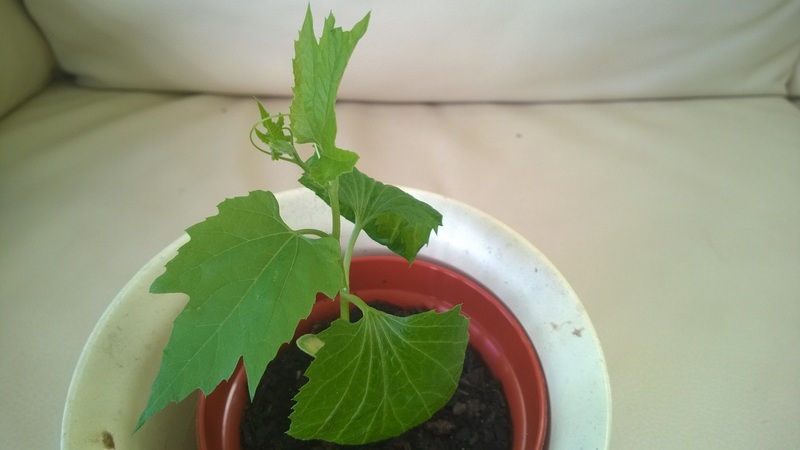 Vigorous growing vine which will produce karela gourd around August.